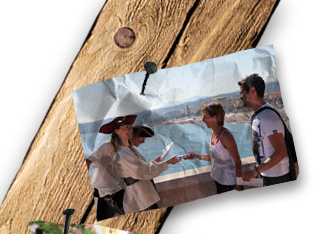 “Adventures on the Coast” provides a friendly and professional atmosphere. Advised: Comfortable shoes, hat or cap. Throughout the hunt: Disguised characters. Road book available in English. Spoken language: French/English.